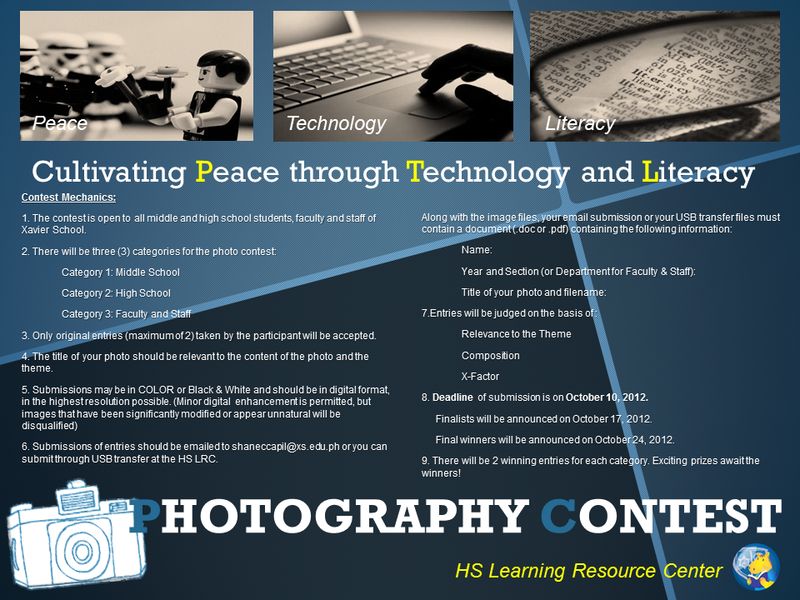 In celebration of the Literacy Month, HS LRC and XS Photography Club will be having a photography contest with the theme “Cultivating Peace through Technology and Literacy”. The contest is open to all middle and high school students, faculty and staff of Xavier School. There will be three (3) categories for the photo contest: (1) Middle SchoolCategory (2) High School Category (3) Faculty and Staff. Only original entries (maximum of 2) taken by the participant will be accepted. The title of your photo should be relevant to the content of the photo and the theme. Submissions may be in COLOR or Black & White and should be in digital format, in the highest resolution possible. (Minor digital enhancement is permitted, but images that have been significantly modified or appear unnatural will be disqualified. 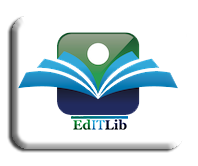 Deadline of submission is on October 10, 2012. Finalists will be announced on October 17, 2012. Final winners will be announced on October 24, 2012. There will be 2 winning entries for each category. Exciting prizes await the winners. Tags: Library Activities 2012, library activities for boys, Literacy Month, Peace and Literacy, Photography Contest, Xavier HS library, Xavier HSLRC. Bookmark the permalink.